Fountains of Wayne at Crocodile Cafe, Seattle, Oct 7 2011. Robyn Hanson photo. As long as there are fans of hook-filled, melodic and guitar-based music, there will be power-pop bands. However, as a genre, power-pop has been on life-support for decades, supported by a handful of true believers immune to musical fads. 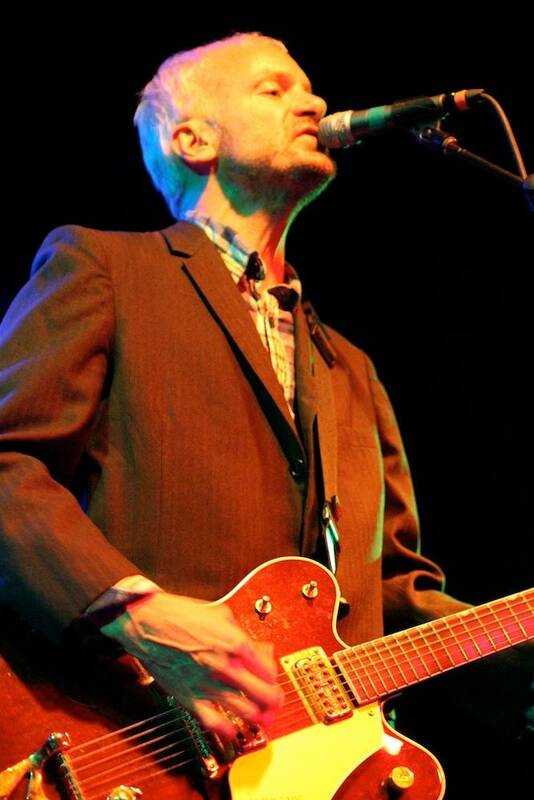 Fountains of Wayne are one of the last groups standing; in fact, along with The Posies and Brendan Benson, they’re one of the few acts that spring to mind. Besides being one of a dying breed, the band – fronted by Chris Collingwood and co-founded by he and bassist Adam Schlesinger – aren’t exactly prolific; their last album of new material was 2007’s Traffic and Weather. So when FoW tours, you can bet fans are going to come out of the woodwork; it’s too bad that, on Friday night at Seattle’s Crocodile Cafe, the band didn’t really seem like they wanted to be there. Opening with “Little Red Light”, one of their best rockers, the show started promisingly enough. And the set definitely had its share of great FoW songs, both past (“Valley Winter Song”, “Hey Julie”) and new (“A Dip in the Ocean”, off the band’s latest Sky Full of Holes), as well as a reworked (ballad-y) “Stacy’s Mom” and the odd cover (Blue Oyster Cult‘s “Burning for You”). 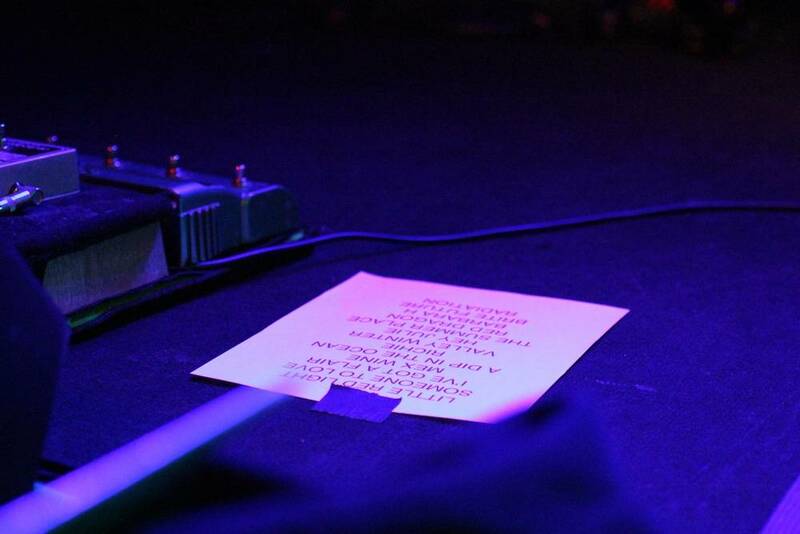 But despite a gold-plated setlist, something was missing; the band just didn’t seem to be enjoying themselves. After watching from the front rows, we were fine retreating to the mezzanine to watch from a distance – never a good sign at a rock show. 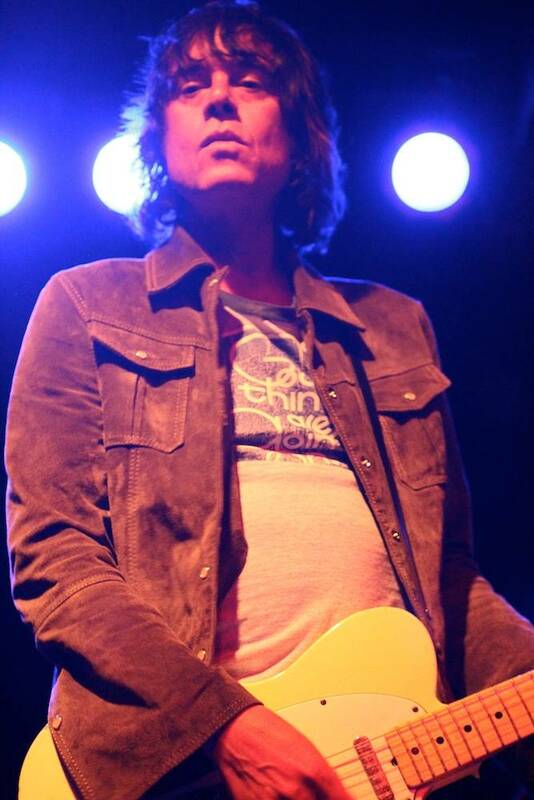 Chris Collingwood with Fountains of Wayne at Crocodile Cafe, Seattle, Oct 7 2011. Robyn Hanson photo. 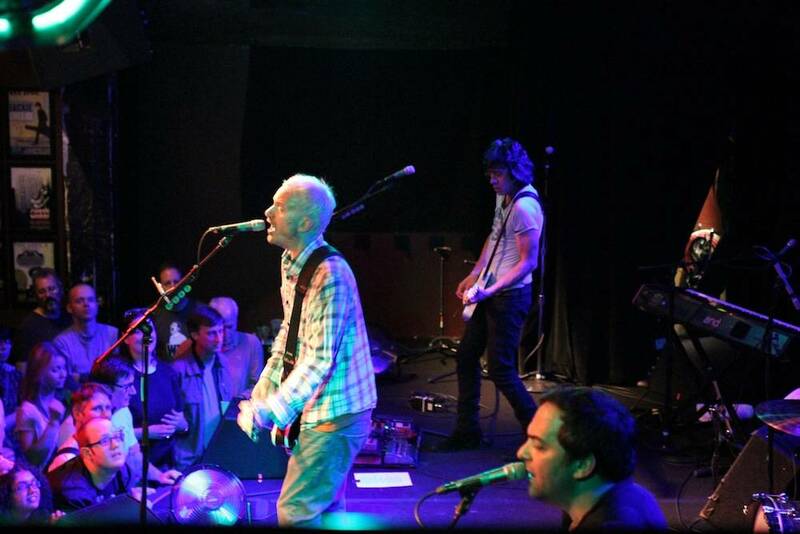 Anyway, maybe it was just an off-night, and the rest of Fountains of Wayne’s West Coast tour – including a handful of shows in California – will be more like a celebration than a eulogy for the dying art of power-pop. This entry was posted in concert reviews and tagged Crocodile Cafe, Fountains of Wayne, indie-rock, power-pop, Seattle concert photos, Seattle concerts. Bookmark the permalink. Well I was there and they were BRILLIANT! Well hopefully I was in the minority and everyone else thought it was great. I do love the songs! Yeah they are great. Fell in love with the Interstate Managers album in 2004 on a trip to US and never looked back. They are great guys and happily chatted with us before and after the concert. I don’t understand why they aren’t HUGE! Would be great if they played a bit nearer to us next time tho’ 16 hour 900 mile roundtrip to see them! But totally worth it.